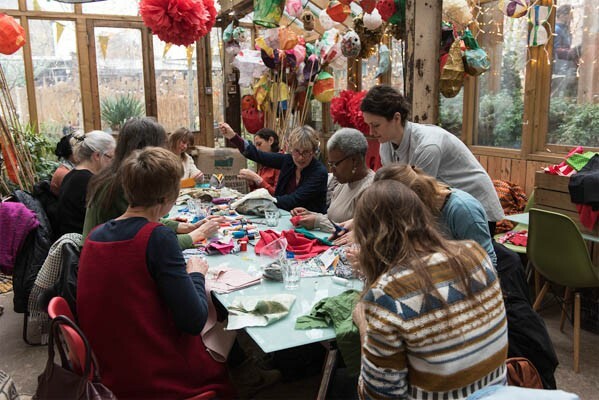 A community quilt grows like a community garden and since November 2015 people have been gathering in the garden to share stories by talking about the garden and the textiles that people shared. 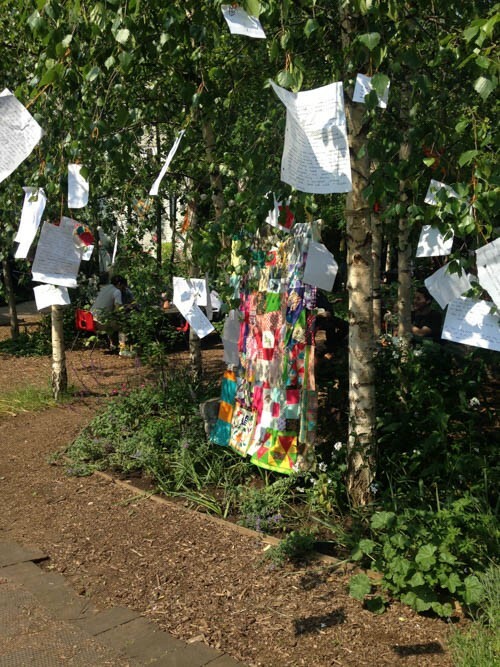 The fragments of stories and cloth have been sewn together into a quilt for the Dalston Eastern Curve Garden. 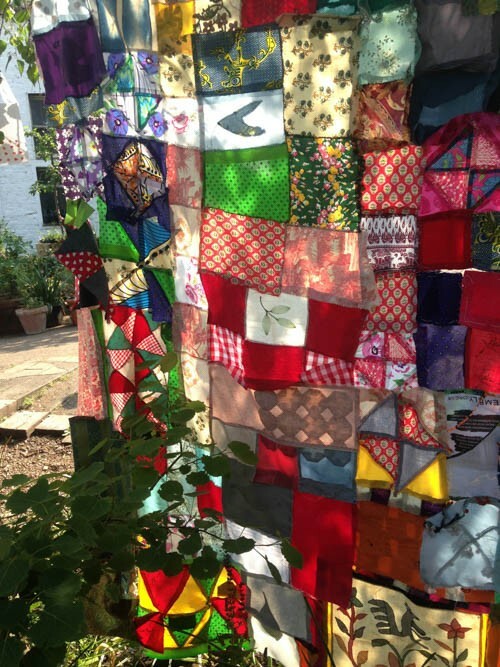 The quilt serves to reinforce the garden, a vital community space without security on a meanwhile use plot. 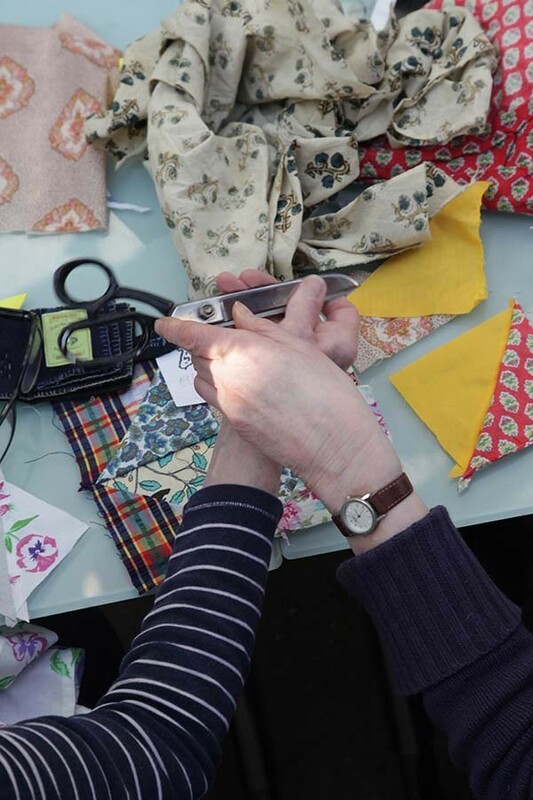 This project considers the repair of place through textile repair techniques like patchwork and quilt making, and through workshops, an exhibition and a publication, aims to bring new narratives about public space into the public imaginary. Garden: verb - to lay out, to cultivate, to tend a garden. to lay out, to arrange a variety of pieces of parts. to the cultivation of a group of stitchers. broken or unused pieces of clothing or cloth.